There is not much more I have to write other then to say this is a FAKE. 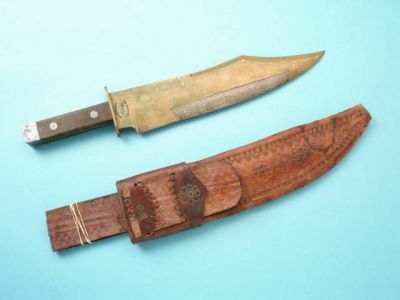 It is a fantasy knife because nothing like it was ever made during the Civil War. The C star S in high relief is a dead give-away as well as the shape of the blade. There is a second known fake with a similar shape blade also marked Wright & Rice, but a different shape grip. Remember, if it is to good to be true, then it is.